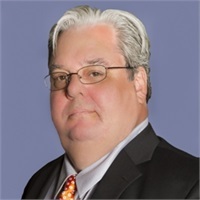 Mark K. Traub, AAMS | Financial Council, Inc.
Mark joined FCI in 1991 and holds the designation of Accredited Asset Management Specialist from the College for Financial Planning. He is responsible for systems integration, client portfolio supervision, and compliance. He holds FINRA Series 6, 63, and 65 securities registrations as a Registered Representative and Investment Adviser Representative of Commonwealth Financial Network, Member FINRA and a Registered Investment Adviser. He is also an Investment Adviser Representative with FCAM (Financial Council Asset Management, Inc.) and is COO (chief operations officer) of Financial Council Asset Management, Inc., a Registered Investment Advisory firm.